CLYW has dropped the news that they’ve added Aaron Davis to their roster of sponsored players! Congrats to Aaron and CLYW! Read the full statement from CLYW and Aaron’s bio below. We are so excited to share this news with you all! Aaron has been on our radar for a while now, constantly putting out fresh material while progressing at an incredible rate. He’s the nicest guy that has already given so much to the community. We are very proud to have him join the Caribou Lodge family. Interesting Fact: I started yoyoing because I met Clint Armstrong and JT Nickel at our local Pokemon club in high school. In just a few short years after picking up his first return top, Aaron Davis has forged his play into a seamless creative outlet and passageway to communicate with others. I don’t use the word dope very often, but Aaron has it. His style has already garnered him attention from worldwide peers, and this is only the beginning! Currently, Aaron is also busy completing a Media Production Degree; making him an integral part of the ongoing innovation of the world we live in today. He’s a gentlemen and a scholar, making fun a priority and serious skills a natural bi product. We thoroughly look forward to getting to know Aaron better and being able to work with him on all of his future endeavours. 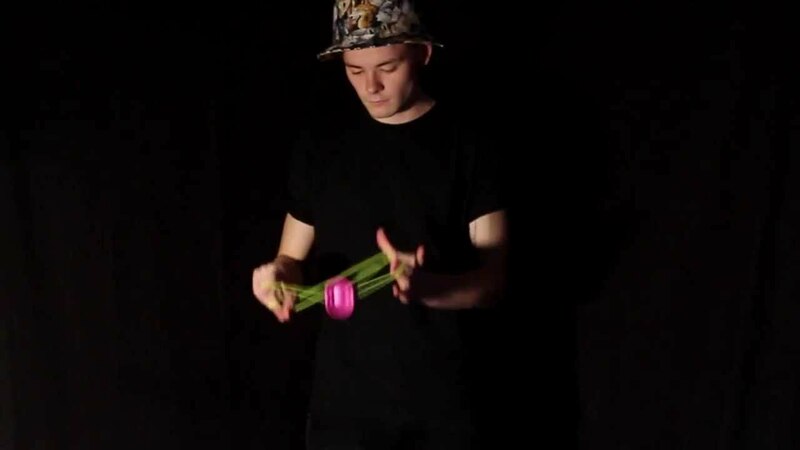 Hirotaka Akiba throws down in this new trick dump video, and there are some great ideas in here. The protrusion combo starting at 0:53 is fantastic, and it’s great to see that there are still new boingy variations to be found. YoYo used is the Laser by YoYoRecreation. YoYoFactory.pl dropped a promo video for the Glow Collection Northstar, featuring Borys Radziszewski (Mateusz Ganc’s protege). There’s some really clean play in here, and the video is really nicely done.